Last Friday I made the quick flight from Charlotte to Savannah and drove up to the Beaufort base to work with the Air Force Reserve Xtreme Team for the weekend. 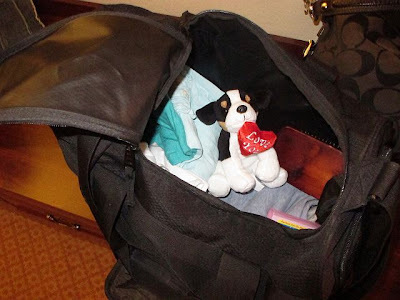 After checking into my hotel I was going through my duffle bag only to find this adorable puppy that Bryan and Cali suprised me with! After work on Saturday we headed out to Hilton Head for dinner at Salty Dogs and to take in the scenery and small shops near the lighthouse. 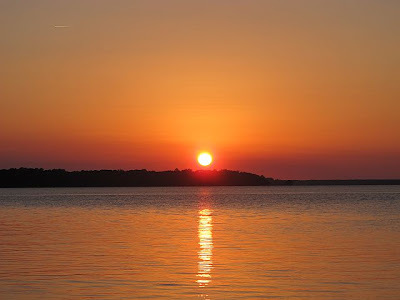 I'm now obsessed with Hilton Head! Oh yeah, and we worked a little too! Oh, and Bryan had a pretty great weekend while I was gone. Not only did he spend the day out on our friends boat wake boarding, but he went out to dinner and beers (which turned into shots) with another friend and met a very important bartender. Um, because she's real life friends with Emily. Emily, as in Emily and Brad, Emily! Apparently Bryan's friend who he went out with is friends with this bartender. Do you see the conncetion here... Bryan --->Friend --->Bartender--->Emily--->Me! 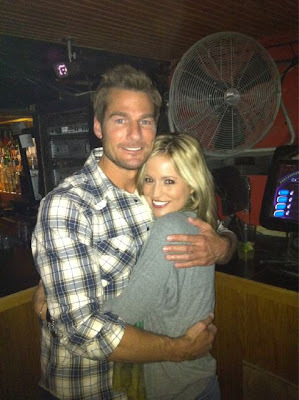 And this bartender is such good friends with Emily that she hung out with them the last time Brad was in town. Yep, I'm one step closer to forming my everlasting and not too creepy friendship with Emily, YAY! You are always meeting cool people! hahah is it weird that my mom told me to email Emily because "we have similar stories" and was totally 100% completely serious? needless to say I did NOT do this. 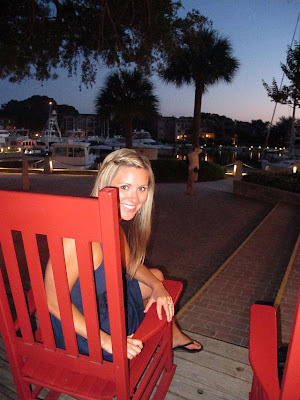 I lived in hilton head for 3 months!!! I love it down there. What do you do for work? looks awesome whatever it is. And glad you and the hubs each had fun. 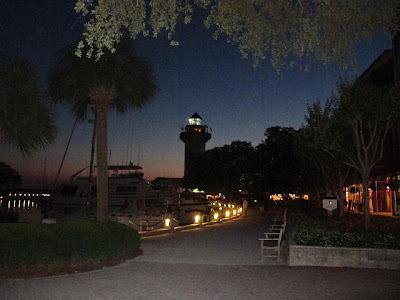 Hilton Head is very pretty! Glad you had good weather and lots of fun! 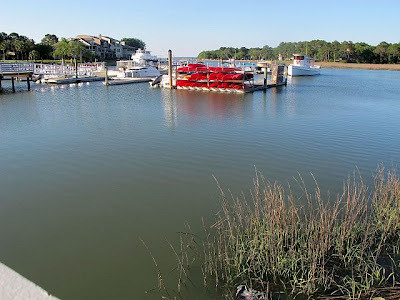 my soon to be mother in law has a house in Hilton Head so we love to go there for long weekends!! Salty Dog is the best...and p.s. SO cool about the Emily/Brad connection!! Trust me- you don't want that friendship. Woo hoo, another Emily lover! I met her a few weeks ago at Brazwells and she's super dee dooper sweet in person too! BTW- ran across your blog through a friend of friend's blog. Great writing! I know someone that almost knows Emily! 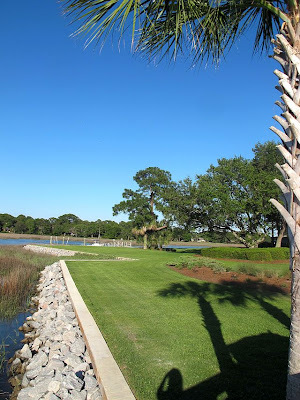 My family has a house in Hilton Head and it is by far one of my favorite places on earth. simply put, can I be best friends with you? ?